ISO 14000 is a family of standards related to environmental management that exists to help organizations (a) minimize how their operations (processes, etc.) negatively affect the environment (i.e., cause adverse changes to air, water, or land); (b) comply with applicable laws, regulations, and other environmentally oriented requirements, and (c) continually improve in the above. ISO 14000 is similar to ISO 9000 quality management in that both pertain to the process of how a product is produced, rather than to the product itself. 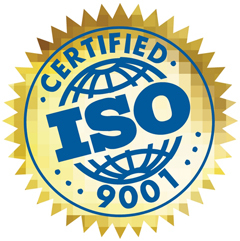 As with ISO 9000, certification is performed by third-party organizations rather than being awarded by ISO directly. The ISO 19011 audit standard applies when auditing for both 9000 and 14000 compliance at once. The requirements of ISO 14001 are an integral part of the European Union‘s Eco-Management and Audit Scheme (EMAS). EMAS‘s structure and material requirements are more demanding, mainly concerning performance improvement, legal compliance, and reporting duties. Copyright © 2048 Info Solution | Design by JP Software Technologies.